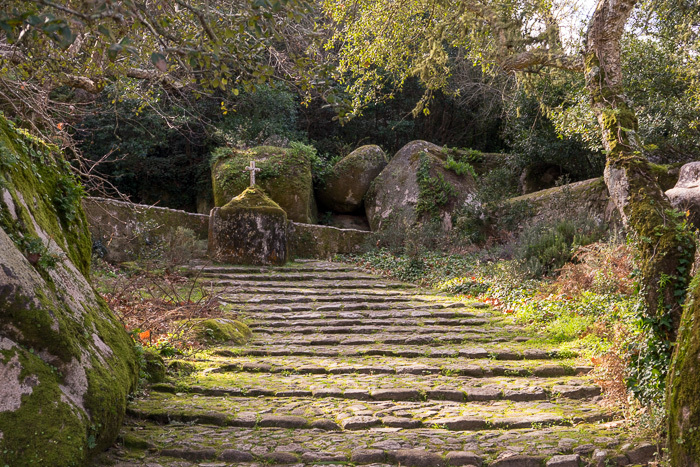 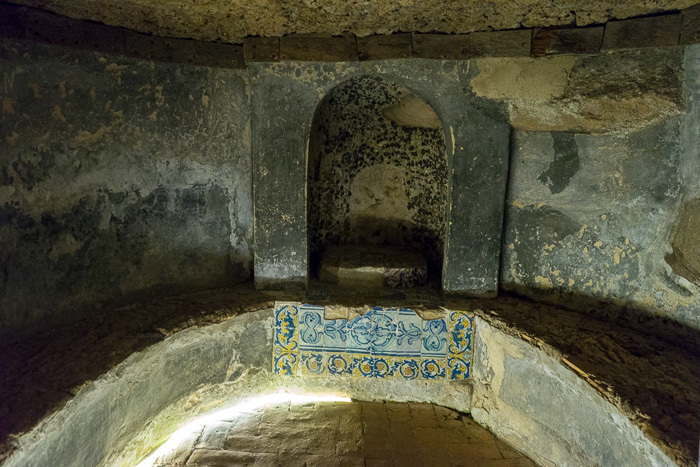 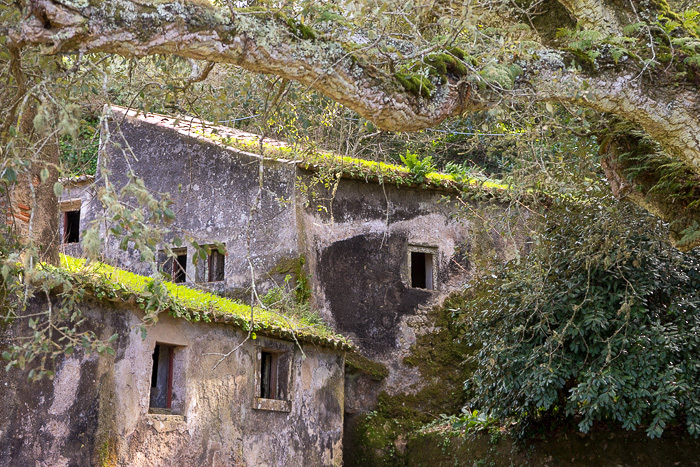 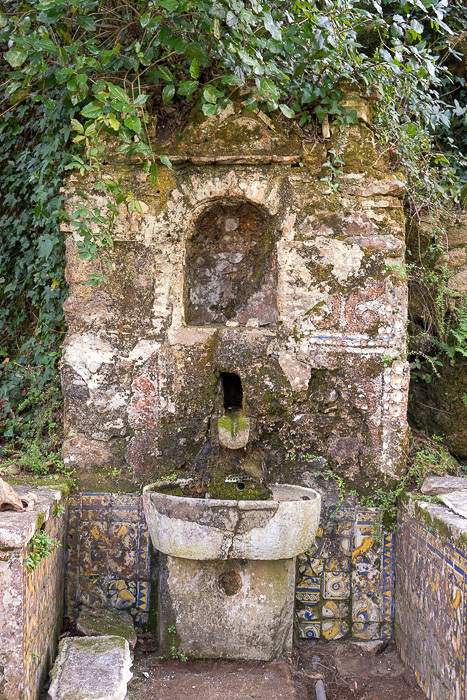 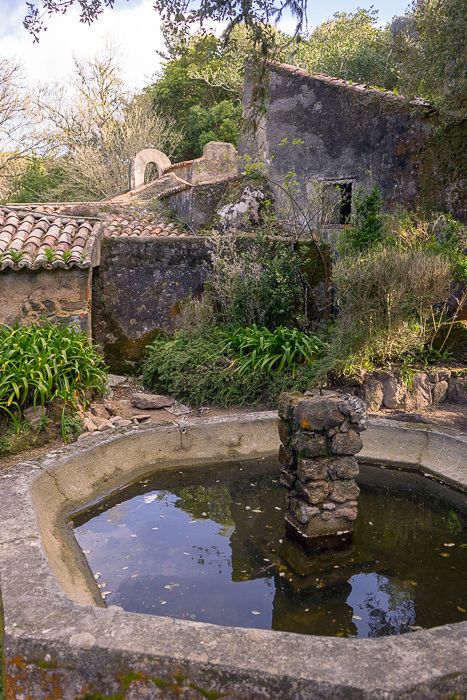 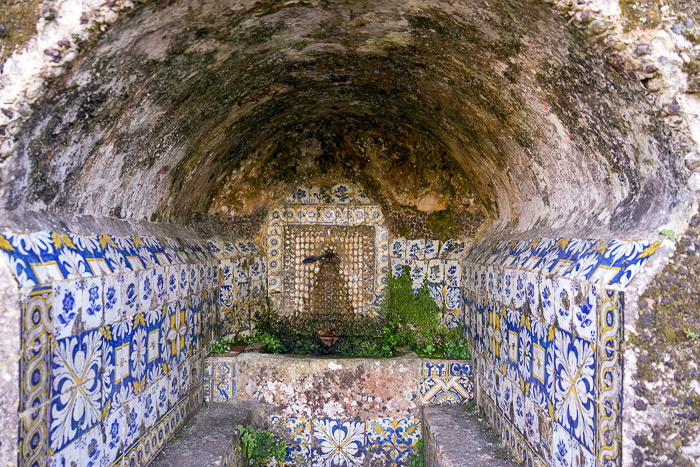 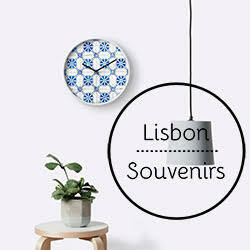 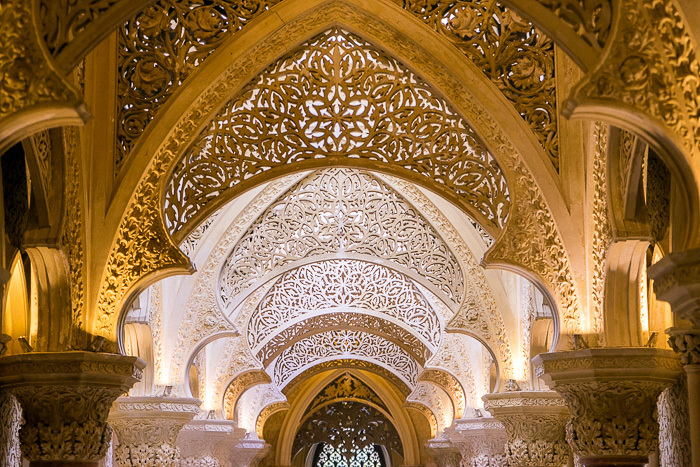 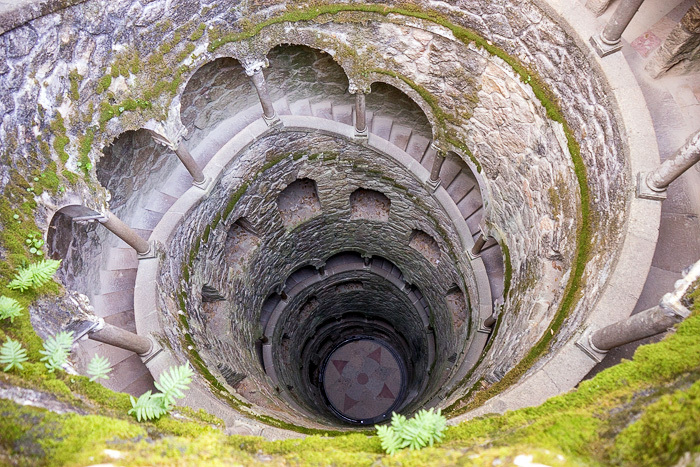 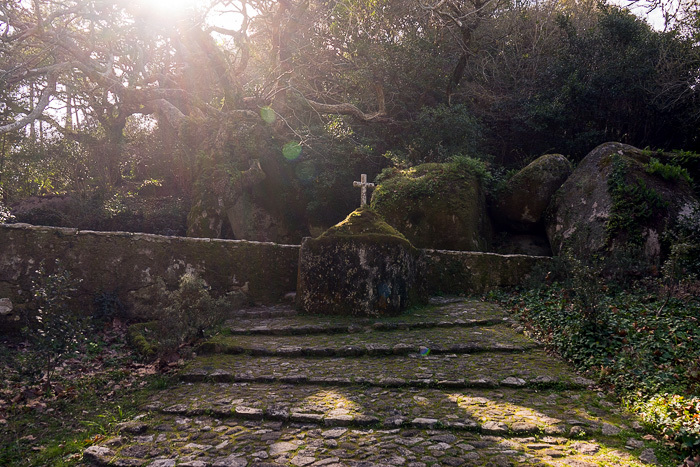 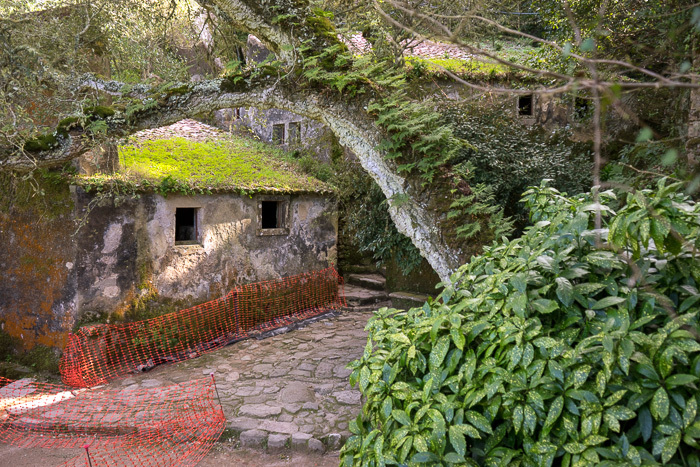 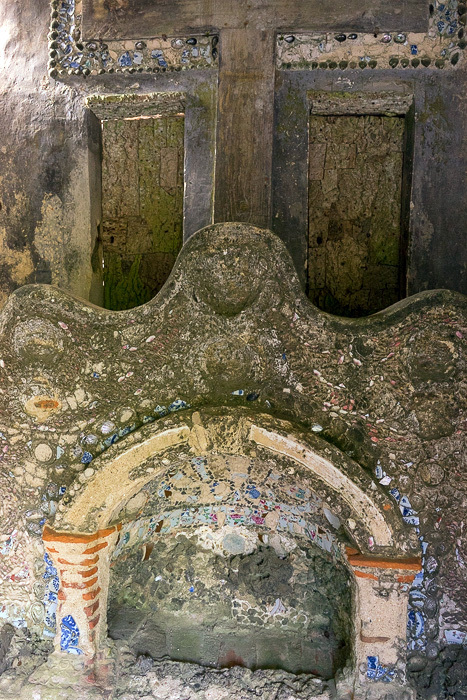 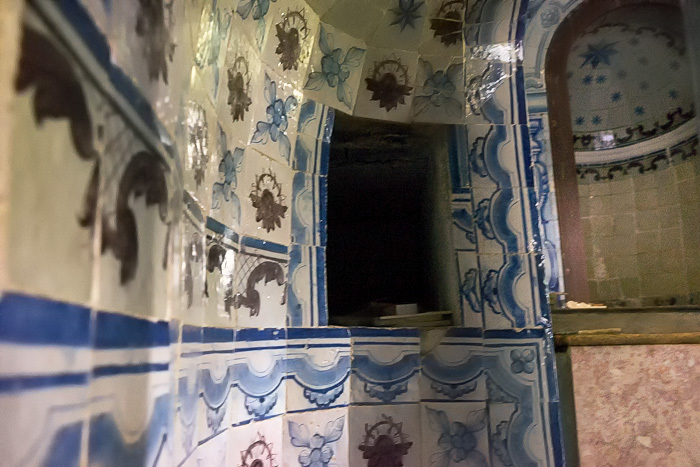 Hidden deep within the Parque Natural de Sintra-Cascais, the Cork Convent, or Convento dos Capuchos dates from 1560. 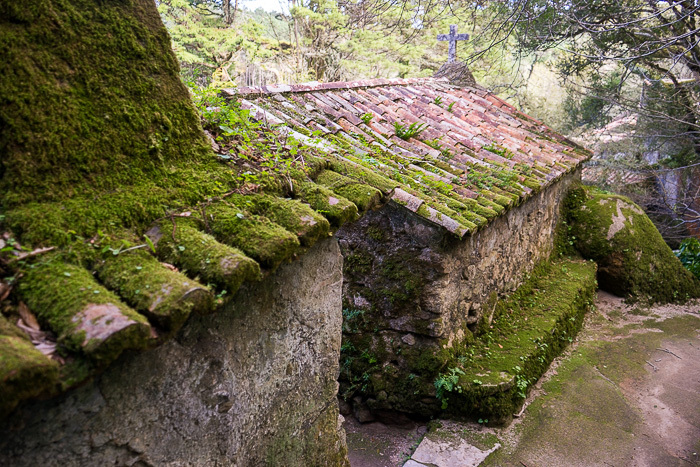 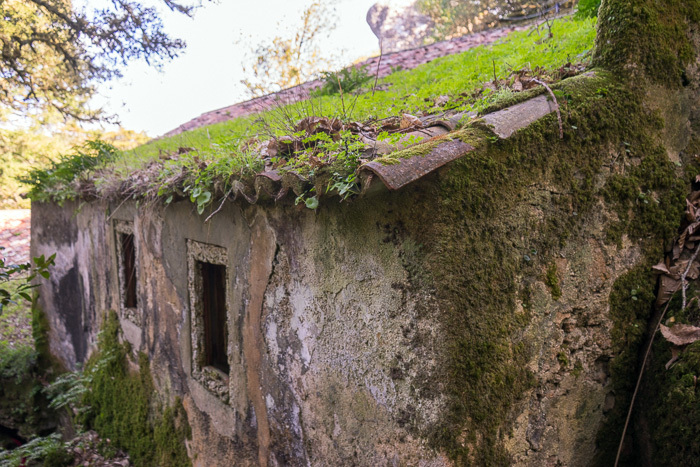 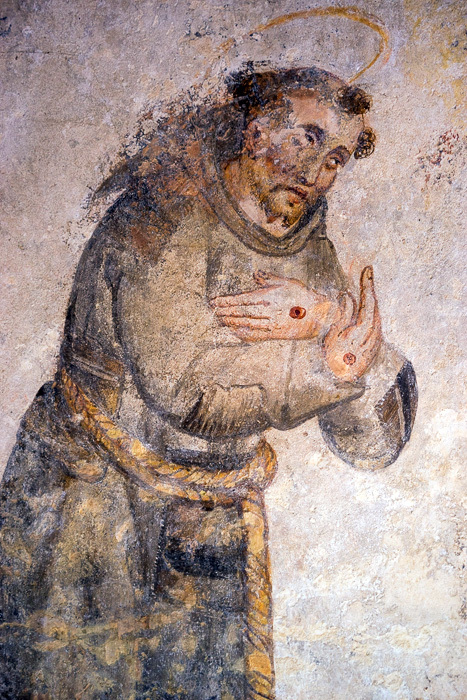 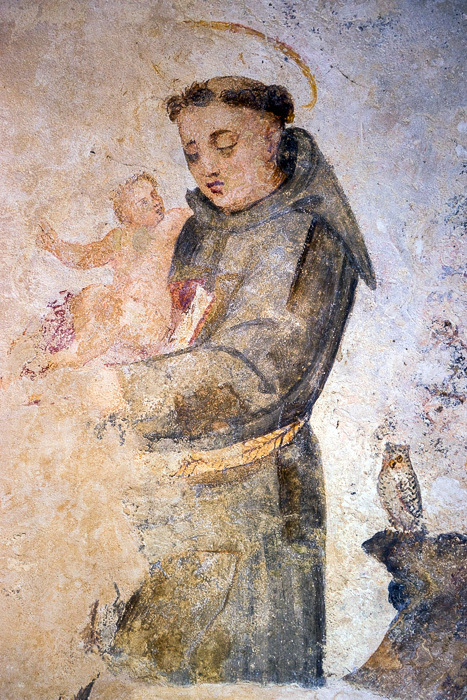 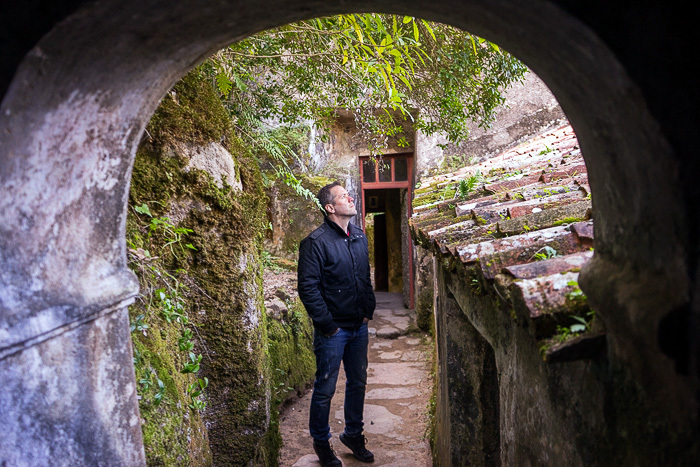 If you’ve ever wondered about the lifestyle of a 16th-century Franciscan mountain monk in Portugal, this is your big chance. 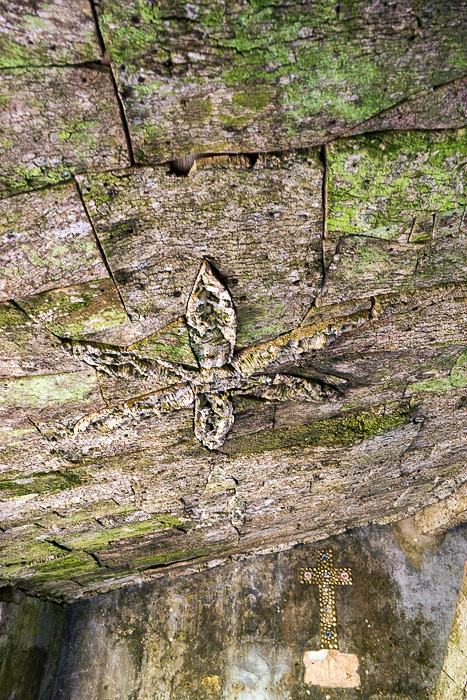 And let’s be honest, of course you have. 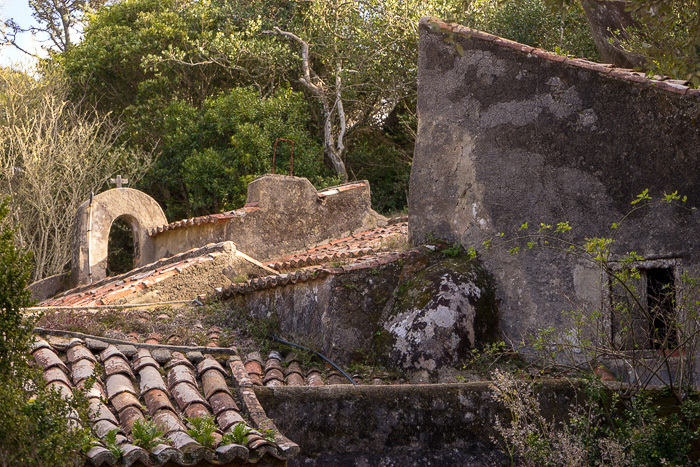 The Cork Convent is so old, it’s almost become part of the landscape. 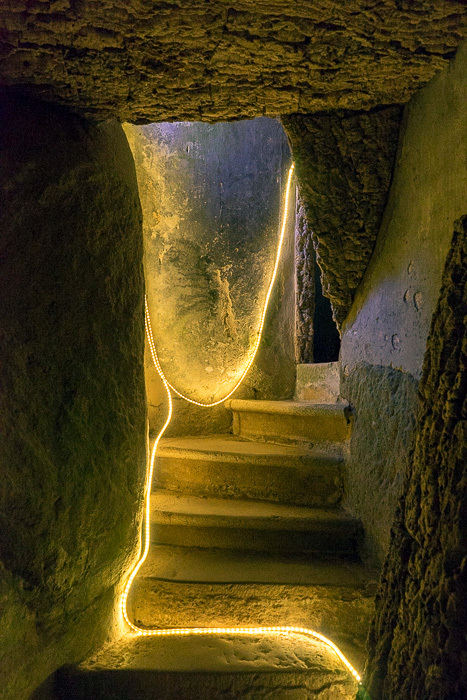 Seriously, if we hadn’t paid entrance and followed a marked path to the door, we could have walked right by the place without noticing it. 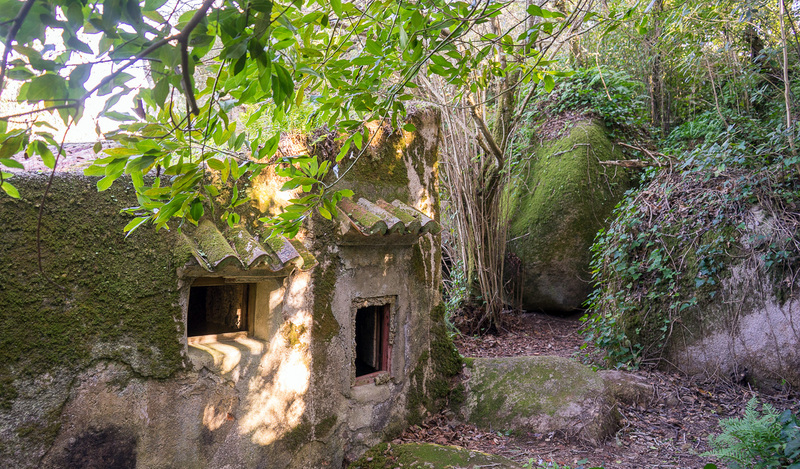 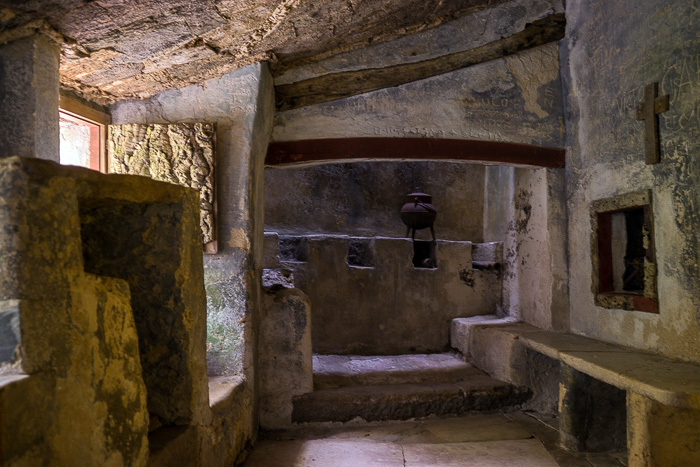 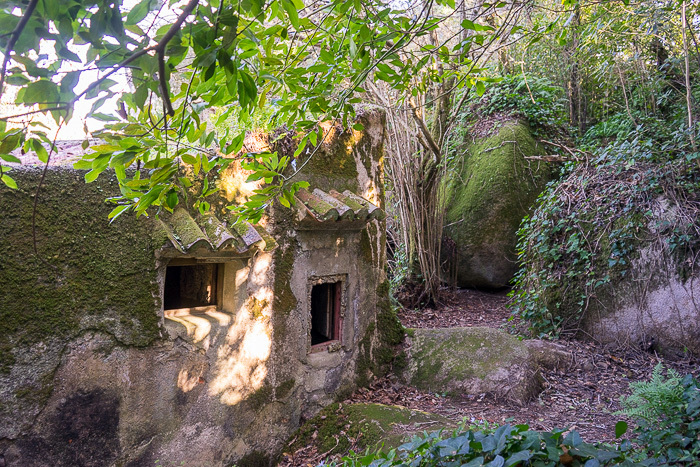 The structures are built into the side of the rock, and covered in vegetation, and even the doors are partially camouflaged, since they’re mostly made of cork. 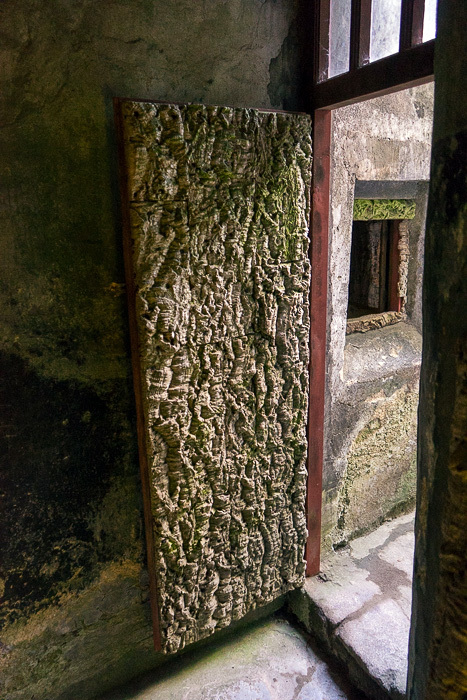 We wandered through the former quarters of the monks, from the choir to the infirmary, to the library — at least, this is how the map had labeled the rooms; it’s not like we’d have been able to tell the difference between these empty stone chambers. 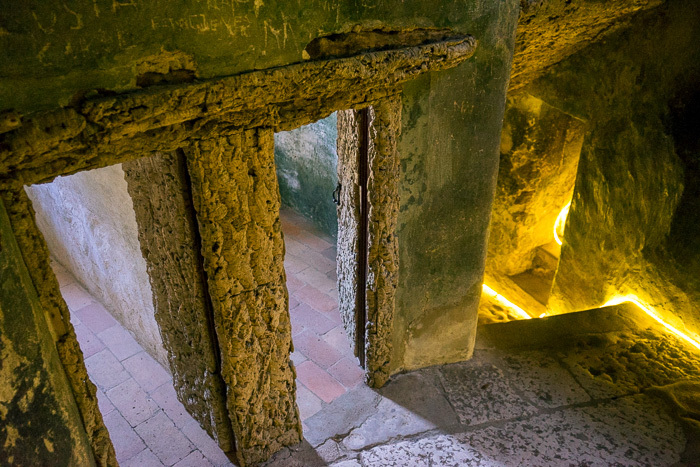 There was no mistaking, however, the dormitory, where the monks had individual cells with doors that were hilariously small. 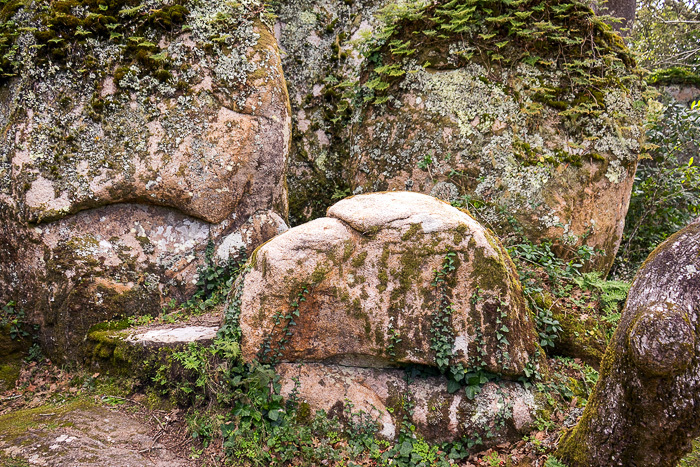 The idea was to encourage humility by forcing the monks to bow, but from this point on, I couldn’t stop imagining a brotherhood of midget monks. 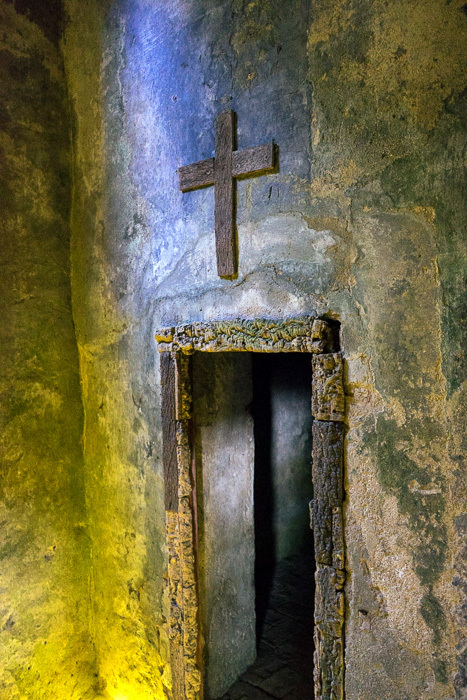 Ho ho ho, it’s off to pray they go! 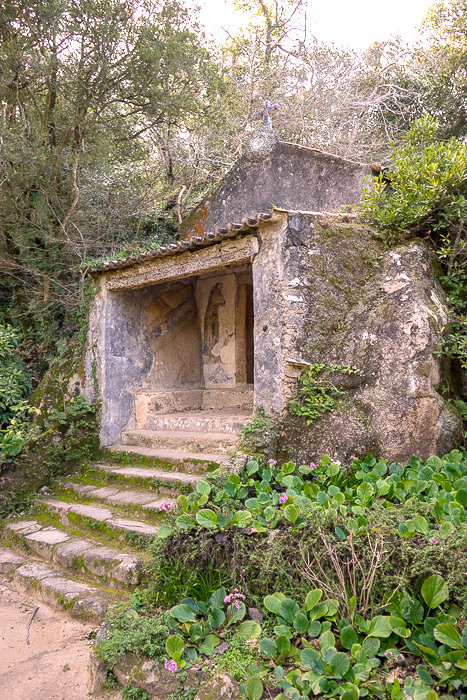 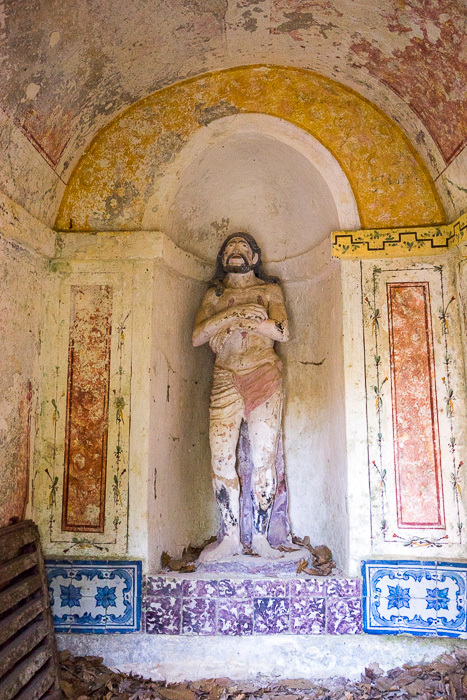 The park surrounding the convent is also worth exploring, with a number of paths snaking through the woods, and leading to strange alcoves such as the Chapel of Crucifixion and the Hermitage of the Ecce Homo. 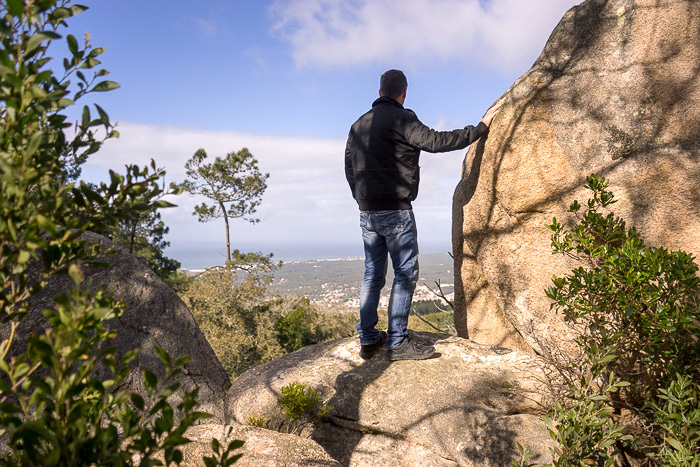 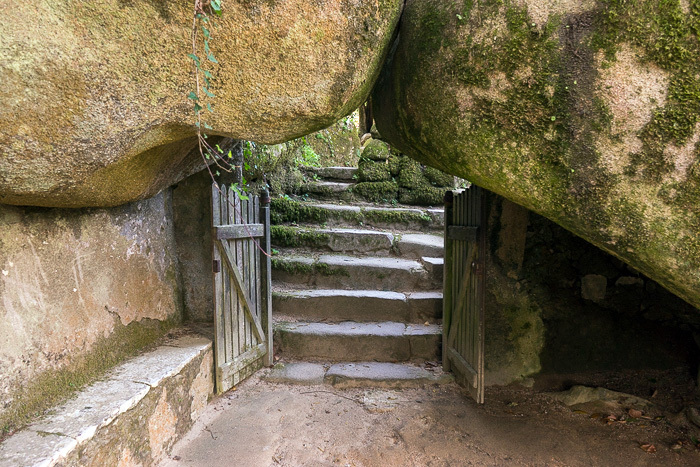 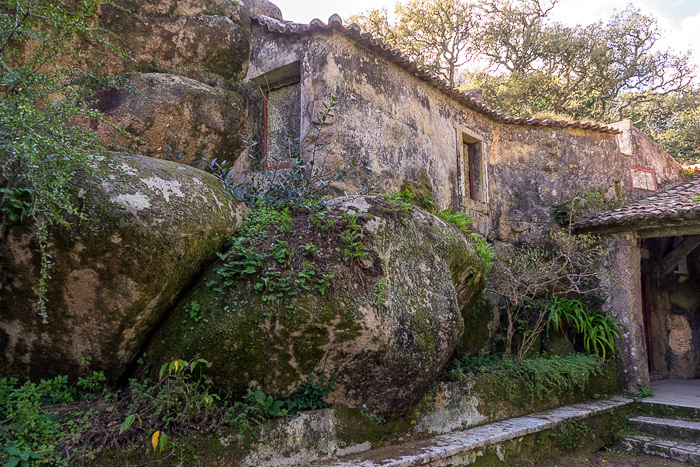 You can also find a rock toward the top of the hill, from where there’s a nice view over Sintra, a few kilometers to the northeast.